﻿I am one like you perhaps who has been waiting in the background until I have some perspective that, based on everything out there, might be something worth contributing. I wasn't able to find it exactly what i was seeking. So i created something i was searching for. And, offer it to the conscious perception and field for us all in this ongoing series. I have created this series in a Mosaic form style consisting of many teachers predominantly out there now. But I have also included many blasts from the past which add value to the topic being offered. It is up to part 16 as present with more to come as the inspiration rises. I have been involved personally with some core remote Lay Line / other stuff that isn't in public space as yet. So, those aspects offered i have an understanding from a foundation of experience. My involvement has been not the main contributing factor to the actual work itself. I am not here to take credit for that. I have also operated at various times with a few of the powerful intuitives offed throughout this series. So, despite the potentially challenging aspect of some aspects to contemplate. It does come from the truth within me. I taught myself currency trading just to fund my research (and invest myself in the 'Energy of Money') for a portion of my development also. The reason for my actions and offering here? There are thousands of hours of stuff out there. Increasing exponentially on a daily basis now also as time goes by. What i have attempted to do is condense what I have learnt over many tens of thousands of research. Plus, personal experiences to a potential fast track for those coming into their awareness now. I have a sense an expectation huge numbers aren't far off. Seekers like you and myself all raring to get into it as their catalyst for awakening is triggered. To aid in getting people up to speed asap and having focus on the present state of things is the core of my contribution here. Hopefully for the veterans to, something new and some perspectives yet contemplated. But have been a missing link. 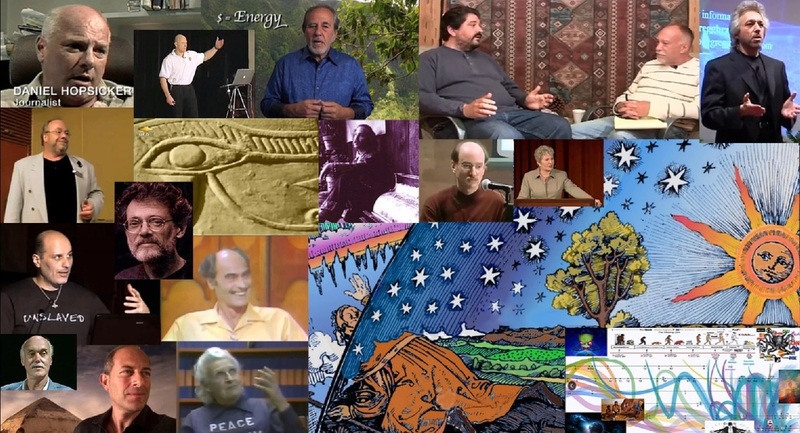 Gregg Braden, Bruce Lipton, Richard Alan Miller, Michael Tsarion, Andrew Bartzis, Ram Dass, Lance White, Freddy Silva, Graham Hancock, Harry Oldfield, Daniel Hopsiker, Nickie Thetsy, Terrance McKenna, Russel Means, Ian R Crane, Paul Chek, Itzhak Bentov, Sally Fallon Morrell, Leela Hutchison, Teal Swan, Val Valerian, Jeffery Mischlove, Bo Gritz, Weston A Price, Veronica Keen, Andre Hodge, John Anthony West, Anthony De Mello, Maurice Cotterell, Dean Radin, Bob Beck, Bob Frissel, Barry Dunford. RD Lang, Art Bell, Amy Goodman, Helen Caldicott and many many more. Emotional Mastery, Shadow Self, The Role of the Ego, Trauma, The Psychic Dictatorship over Humanity. The Sacred Neutral Perspective, The Artificial Lay Line Grid imposed over our Home vs The Natural in which the indigenous tribal structures were an symbiotic emanation of, The eradication of wisdom to suppress knowledge for control, The elimination of the indigenous to impose consciousness control, Temples of Ancient times waiting for us to pilgrimage to for consciousness activations, The role of Shaman in tribal settings and need for those who's purpose is it now to trigger and integrate it for our society once more, The purpose of incarnating with shut down intuitive abilities to evade detection of incarnating behind enemy lines, The need to explore healing to reveal your truth and purpose now, The 3 rises and falls of both Lemuria and Atlantis and their Spiritual Incarnation battle with the 15 Multi Dimensional Beings currently occupying roughly 12-18 million 'skin suits' at present, Akashic Record perspectives, Past Life Akashic live readings to confirm individual past experiences relative to the topic covered, The purpose for the 9 layers of Pyramid Fortification and the Archon Incarnation control of Soul allocation. Time Travelers who in Ancient Mystery Schools who perceived the battle being lost invested in the present future time for continuity of consciousness, Trauma usage, Nuclear Tech aimed at Spiritual Soul Migrations, The Sun's role in triggering consciousness and efforts to suppress our access to it, The vital nature of Nutrition for the relief of Nutritional Suffocation designed with the intent to inhibit our physical temple, The purpose that sacred energy spots are for consciousness activation and our calling by them, Overcoming Beliefs and Judgement, Other personal lessons valid to explore. Our potential which is at hand within each of us. The small numbers truly required to overcome this all, The courage healing will have on those around you not just yourself. And, more than i can remember right now. These might be topics so far out there for you perhaps are challenging to contemplate. All ok. There is a layer of awareness aspect within my offerings here. By that though have the courage to just hold what does not have reference in your awareness until a possible confirmation enters your awareness. For that might be the catalyst to trigger a great level within you to put a finishing puzzle piece into the expression that is you﻿. So with that it is hoped that offers a salivating trigger in the thirst and quest for knowledge. It will be an honour for me to do so. The desire to dive in and explore. I invite you.